If you're itching to get your hands on the latest iPad but aren't willing to pay full price, Best Buy has you covered with an offer for $30 off the latest Wi-Fi-only model, bringing the price for the entry-level 32GB model down to $299.99. And of you want more storage, the 128GB is also on sale. iPads have long been a choice tablet for many of the tech-connected, and for good reason: they come with all the features and functionality you can expect from a key Apple product. There are also a few standout features worth noting. A 9.7-inch screen enables a Multi-Touch Retina display, while an 8MP camera can record 1080p HD video. 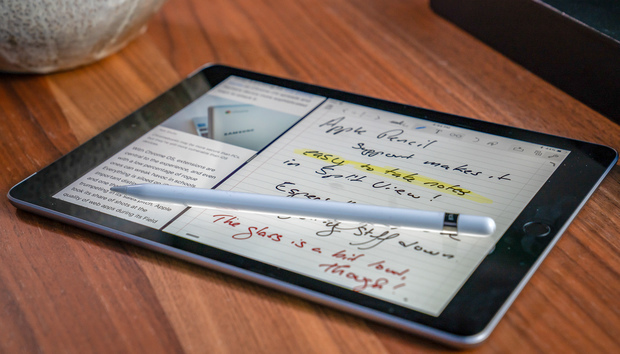 This version also now supports the Apple Pencil to complete even more detailed writing and drawing tasks. The latest 9.7-inch iPad doesn't have all the bells and whistles of the Pro models, but it is a great value for anyone looking for a new tablet. In our 4.5-star review, we praised its versatility as a "general-purpose tablet for school, business, or pleasure," and concluded that it's probably "pro" enough for most users. And when you consider that with this deal you could buy two for less than the cost of a 10.5-inch iPad Pro, it's a bit of a no-brainer.